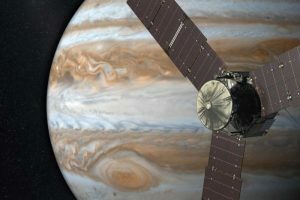 Right now a spacecraft the size of a tennis court is hurtling towards Jupiter at a speed of 30 km per second. Over the next four days it will more than double in speed as it feels the planet’s huge gravitational pull, before slamming into reverse and going into orbit. The craft, called Juno, will tear through the metal-frying radiation belt that surrounds the gas giant in a punishing close encounter that will be repeated dozens of times in the next 18 months. Its unusual, lopsided orbit will allow Juno to analyse every inch of the planet below. Why is NASA going to all this trouble? 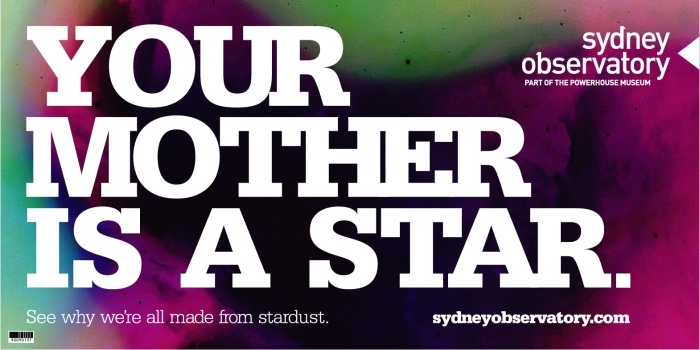 Well, Jupiter is a very special ball of gas. It is interesting that the Sun is atmakaraka (the Soul principle, the representative for the Soul and consciousness) for this chart; it is suggestive that the Sun is also atmakaraka for this solar system, also. Recently, other astrologers shared that vedic astrology would work on other planets in our solar system with only minor adjustments. This trip to Jupiter is somewhat confirming these assertions with the atmakaraka Sun. Well, it is a birth chart. What, then, of Jupiter? Well, not surprisingly, Jupiter is in the 7th House, where relations with the world (and this solar system) are encountered. Understanding what makes Jupiter tick will help us better understand how our solar system — and others — evolved. And that’s the overriding goal of the Juno mission. Jupiter is located Bharani nakshatra, which has the deity Yama. Most understand that Yama is the god of death. (He sends yamdoots out to collect souls…) What is frequently forgotten about Yama is that Yama is brother to Saturn (Saneswaraya) and is also the god of Dharma, the practice of right conduct. This is suggestive that the mission of Juno has the goal of understanding the right ordering or the right conduct of our Sun (whom Jupiter affects through barycentre via magnetism) and the right ordering of the nature of the planets in our solar system. What we don’t know — and Juno should reveal — is what the picture is like beneath the planet’s outer clouds. Knowing Jupiter’s inner composition will rule out some theories of planetary and solar evolution for good, bringing us closer to understanding how solar and planetary systems form. Directly measuring the inner planet is well beyond anything even Jules Verne could have imagined. The closest we’ve come is a probe that was dropped into the Jovian atmosphere as part of the Galileo mission in 1996. It transmitted its findings — the chemistry and weather of the upper 150km — for almost an hour before being vaporised. 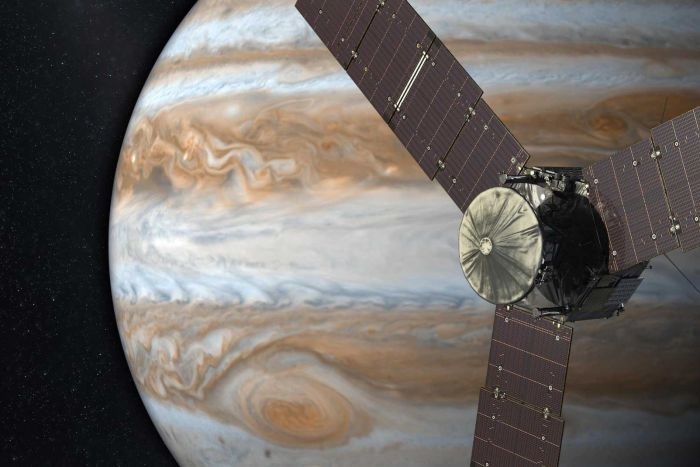 Unlike that probe, Juno is not on a suicide mission. Instead of entering the atmosphere, it will fall past the face of the planet a total of 37 times, getting as close as 4,700km. Those falls are timed to expose Juno to every skerrick of Jupiter. As well as taking stunning images with the mother of all high-res digital cameras — JunoCam — Juno’s instruments will collect data that builds a picture of Jupiter’s heart by measuring its gravitational and magnetic fields, and the composition of the upper 500km or so of the planet’s atmosphere. 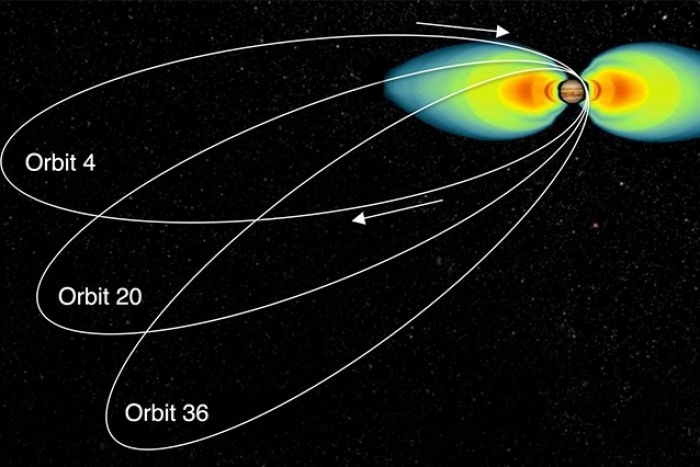 This will help clarify our understanding of the causes and effects of planetary magnetic fields and auroras. Juno will follow a very distinct elliptical orbit that minimises its exposure to Jupiter’s radiation belts, while keeping its solar panels facing the Sun and its instruments facing the right way. Each orbit is slightly adjusted so the craft meets a different face of Jupiter, allowing Juno to study the planet’s entire surface over its 37 orbits. Today is the Earth’s aphelion, the one day of the year when we are at the furthest point from the Sun. NASA planned this meticulously as Earth and Jupiter are closest to each other when Earth is at aphelion. Uranus is a planet that embodies the Chinese curse: “May you live an interesting life.” This planet rules electricity, shock, the nervous system (sometimes heart attacks) computers, inventiveness, social activism, revolt, friendship, humanitarian motives, and eccentric behaviour, alertness, genius and divergent thinking, gentle kindness and dictatorial tyranny. The last time Uranus entered Aries was 1933. What’s the weather like below those stormy belts of cloud? And how much water is there? By analysing microwaves, Juno will measure the chemical composition and layers of movement down to 550km below the cloud tops — including the amount of water in Jupiter’s atmosphere. This is the key to working out which theory of Jupiter’s formation is right. The inner planet produces microwave radiation, and mapping different frequencies of microwaves paints a picture of its layered structure. These microwave signals are blocked by Jupiter’s radiation belts, so Juno’s trips inside the belts will reveal this otherwise-invisible signature of the interior. Is there a solid core at the heart of Jupiter? If Jupiter has a solid core it will have a slightly different gravitational field, and that field will have a tiny but measurable effect on Juno’s orbit. Any variations in the orbit will be detected by a Doppler shift in a radio signal constantly sent to Juno and relayed back to earth. This data will build a picture of the churning within the planet, and whether or not it has a solid core. This will also help determine which theory of planetary evolution is right for Jupiter: did gas from the messy cloud of the early solar system simply collapse and clump together, or was it gathered by a big, rocky core? Juno carries a magnetometer that will create an incredibly detailed 3D map of Jupiter’s magnetic field, and look for small, long-term variations in the field. Together these will help determine the location and action of the planet’s dynamo — whatever swirling, charged material inside the planet generates its magnetic field. 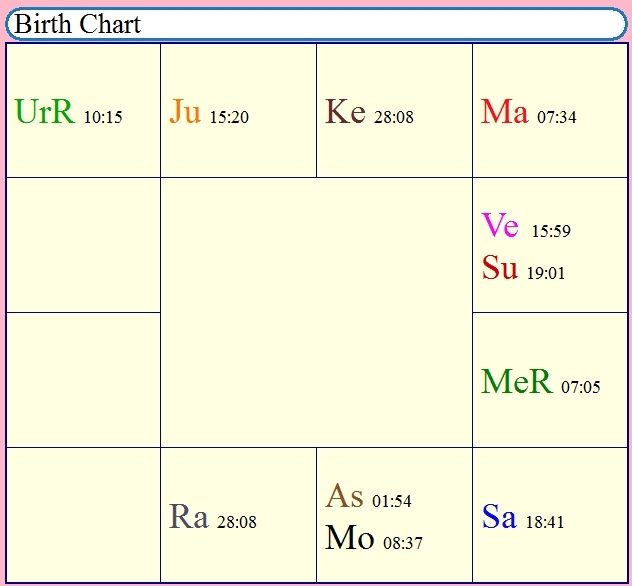 Looking to the Vimshamsha (D20) chart for the Juno spacecraft, We note that Mercury – messenger of information and news and understanding is conjunct Atmakaraka Sun. This simply confirms the exploratory nature of this mission of Juno and its purpose in spread of information and inner understanding of our solar system. Lagnesha Venus is with planet Jupiter in the 11th House (realisation of objective, hopes, pleasant tidings, dependency, skill in art, important papers and documents ) conjunct Uranus. So this exegesis on profound transformation suggests there is a sacred timing for this event. And that sacred timing is that of Ascension, and rise to the 4th and 5th Dimension for all forms of life on this planet. The Source has also told that this Ascension process, the release of energies from the Central Sun of all Universes affects all planets and our Sun, in this solar system. . Whatever comes of this arrival of Juno at Jupiter is meant for our spiritual progress, our understanding of our true nature (the human body is just a sojourn and our oversoul is greater and possesses the fullness of Who-I-Am. 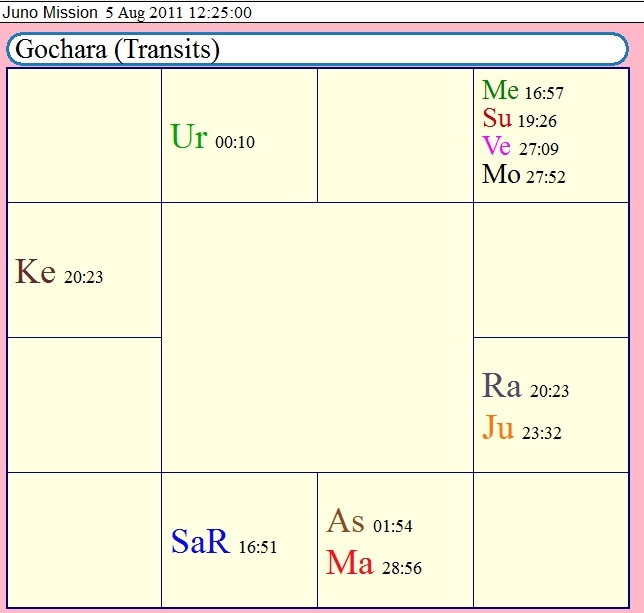 Looking to the transit chart for the Juno spacecraft at 12:30 hours today, the only planet that has any gochara pada (indication of effect on the world) is Uranus. All other planets are in houses, with no padas. With Uranus having the pada of 3 and 11 houses, we see that delivery of news and information is strongly indicated, and that news and information will affect all on our planet. Information will produce transformation, which is a sign of inner progress towards world peace.